Mark Sullivan brings over ten years of experience in executive search and talent management to Linden. His background includes roles at Korn/Ferry International and Children’s Healthcare of Atlanta, a $1.8 billion health system in the Southeast where he led a team of fifteen human resource and recruiting professionals that supported 8,000 employees. At Korn/Ferry International, Mr. Sullivan was a member of the Financial Officers Practice and successfully executed leadership assignments across all industry groups for middle market and private equity-owned companies. 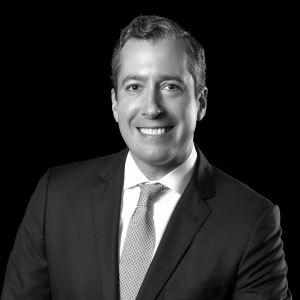 Prior to Korn/Ferry, Mr. Sullivan worked for a Fortune 50 company in Mergers and Acquisitions and Strategic Financial Analysis as part of its Financial Leadership Program. Mr. Sullivan began his career in New York City working for a proprietary trading division of Cargill, Inc.
Mr. Sullivan holds a BA in Economics from College of the Holy Cross and an MBA in Finance from Vanderbilt University.